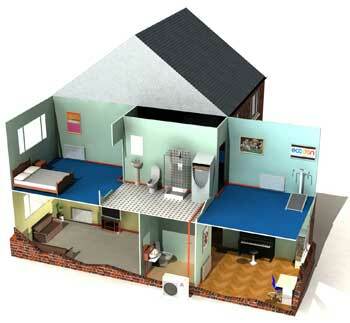 Using a heat pump as your heating system has many benefits over heating methods. If you have solar PV panels to generate electricity, this power can be used to run the heat pump to further reduce your heating and runnning costs. Heat pumps are around 400% efficient. This means that for every unit of energy used by the heat pump in operation, three or more units of heat are generated for use in a building. As heat pumps work by extracting available heat from the outside air, they are far more efficient than even the most efficient fossil-fuel based heating systems. Heat pumps featuring inverter technology are particularly efficient for all kinds of indoor heating.